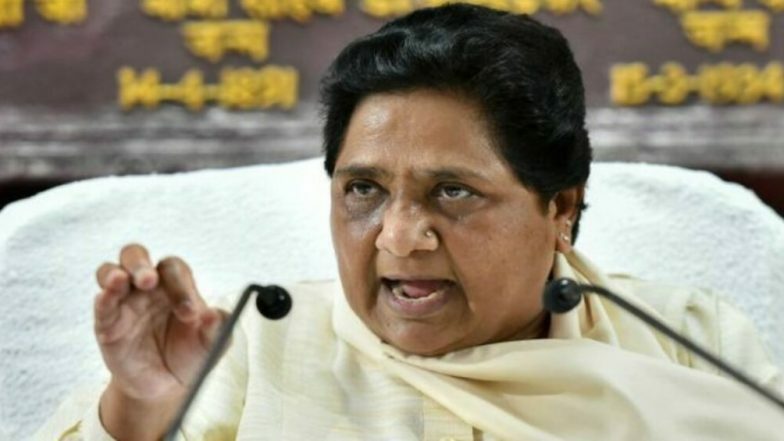 Lucknow, March 20: Bahujan Samaj Party (BSP) chief Mayawati on Wednesday said she won't contest the upcoming Lok Sabha elections. The announcement assumes significance as Mayawati is often seen as a potential candidate for the prime minister's post if a coalition of opposition parties forms a government at the Centre. "Keeping in mind the current political situation, I have decided not to contest the Lok Sabha elections," Mayawati told the media. In Uttar Pradesh, Mayawati's BSP is contesting parliamentary polls in an alliance with the Samajwadi Party (SP) and the Rashtriya Lok Dal (RLD). The BSP is contesting 38 seats in the state, the SP 37 and the RLD three. The BSP-SP-RLD combine has left two seats (Amethi and Rae Bareilly) for Congress President Rahul Gandhi and his mother Sonia. Last week, Congress state unit chief Raj Babbar announced that the party will not contest from seven seats for the Samajwadi Party (SP), Bahujan Samaj Party (BSP) and Rashtriya Lok Dal (RLD) alliance which has left two seats for the Congress in the state. BJP Will Be Brought Down to 5 Seats in UP If BSP-SP Alliance Joins Hands With Congress, Says Mood Of The Nation Survey. Babbar said that the Congress will not field candidates from Mainpuri, Firozabad and Kannauj and in the seats to be contested by Mayawati, RLD leaders Ajit Singh and Jayant Chaudhary as well as Samajwadi Party chief Akhilesh Yadav. Mainpuri is represented by SP patriarch Mulayam Singh Yadav.